Too far gone for restoration. Bought from pictures as an Autocrat for obvious reasons, but in fact a Broadway - nickel plate fittings, not chrome. 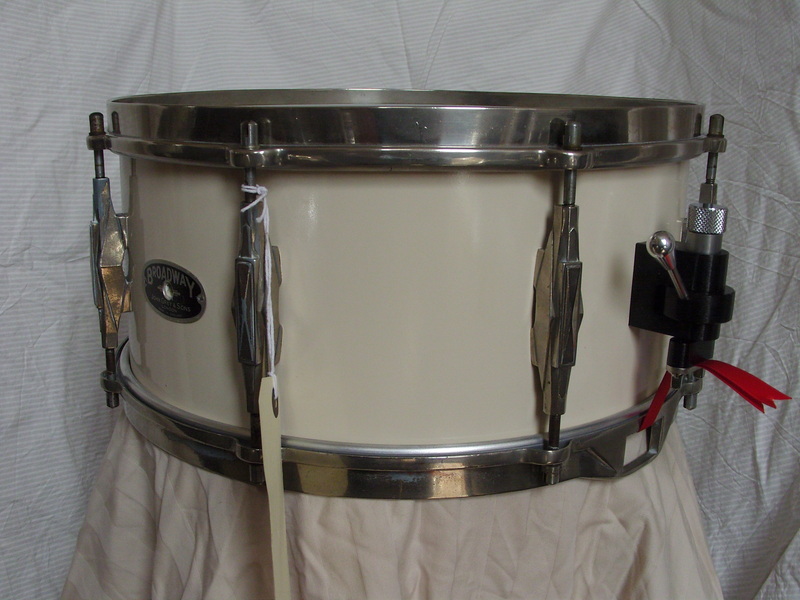 The UK companies offered mid-level drums, usually with 6 lugs instead of 8 on snare and bass, but there was always a deluxe version with 8 lugs. For this reason, the received quality of these models is lower that it should be. Like Autocrat Tom-Toms and Bass drums, the Broadway snare shell has VLT - where Autocrat snares do not. This drum is wearing a temporary black badge, it should be Red.